Find out the full range of powder-coating colour options from Edmonton company Cadillac Coatings. Download our online webinar to get the full scoop! 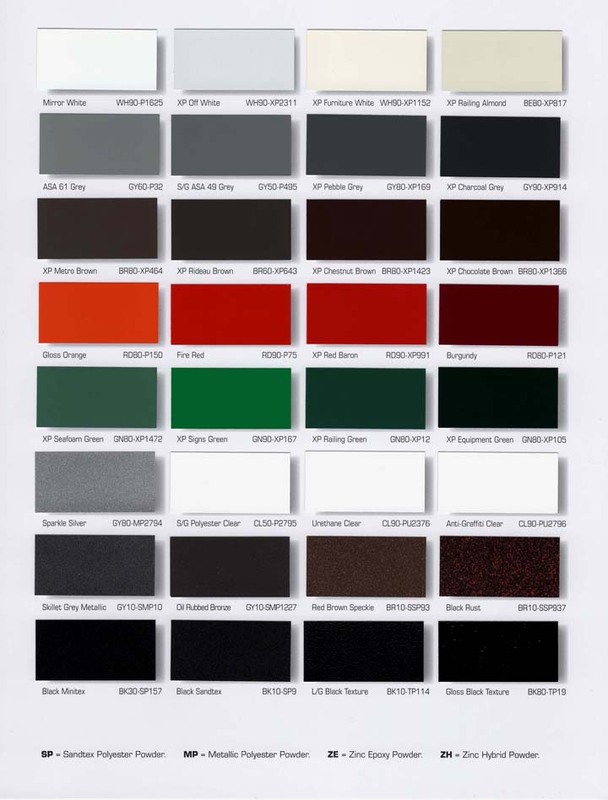 Together with our suppliers, Cadillac Coatings Canada Inc. offers custom colour matching on any order. Simply provide us with a sample of the colour you want for your project, and we will ensure that our finish will match your specifications! If you aren't sure what colours to use, let us help you choose. You choose the colour, texture and sheen, we do the rest! Want your project to have the look of metallic, without the expense ........Ask us for samples!